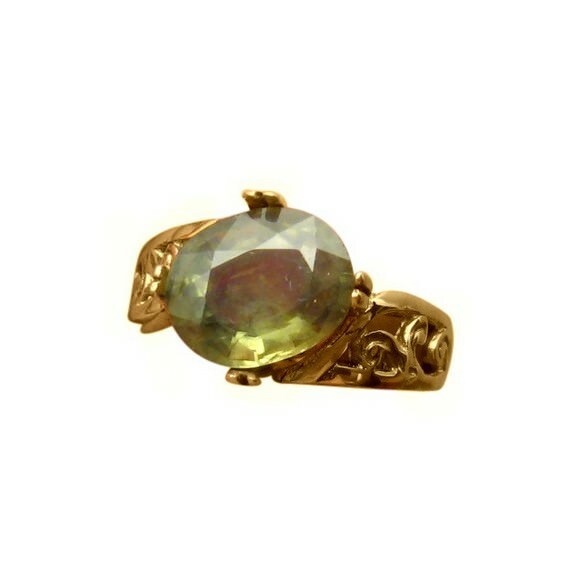 A beautiful Sapphire ring with an oval 3 carat Australian Olive Green Sapphire in 14k Gold. SOLD but can be made to order. 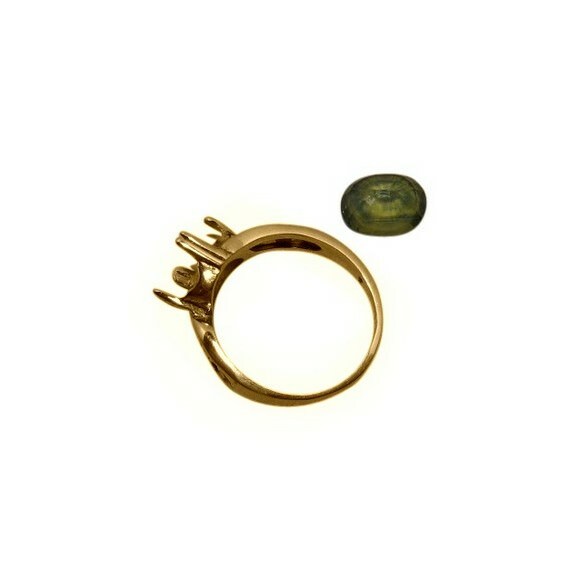 A quality ring in 14k Gold for women. 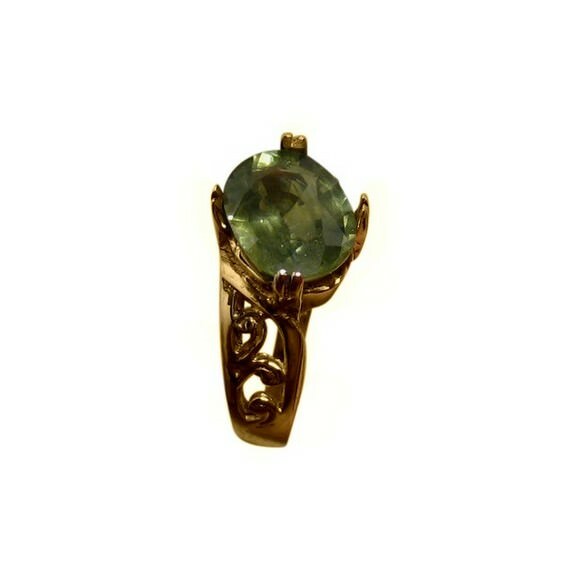 The ring setting has filigree detail on the band and is prong set with a large Australian Sapphire of 3 carats and this is set on an angle. 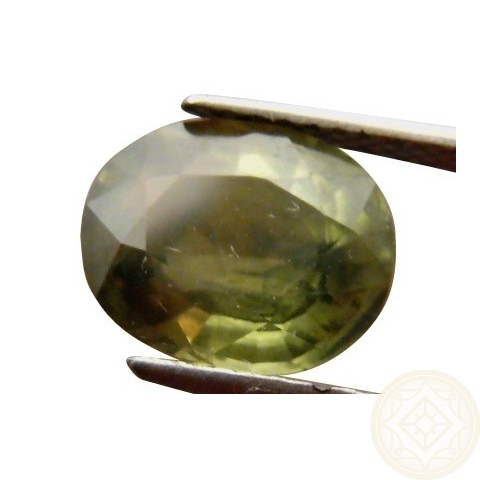 The Sapphire is light Olive Green in color which is an uncommon shade of Green for a Sapphire and with the VVS clarity, this beautiful stone has lots of sparkle. 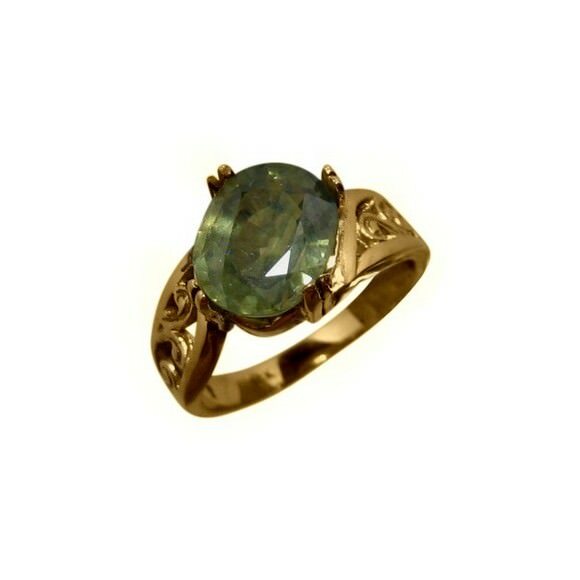 This ring has sold however, if you would like a similar ring made, with a Green Sapphire or different color gemstone, contact through this product for assistance and a no obligation quote.